’Tis the season for warm weather weekend getaways! Like many of you, I have a few weekend getaways planned this summer; weddings, get-togethers and fun with friends. When I travel for longer vacations, I can’t say that I pack very light. I’m not too bad, but I am NOT a carry on only kinda girl! I do, however, like to go light for weekend trips. For those of you who know me, you know that I love to be organized! 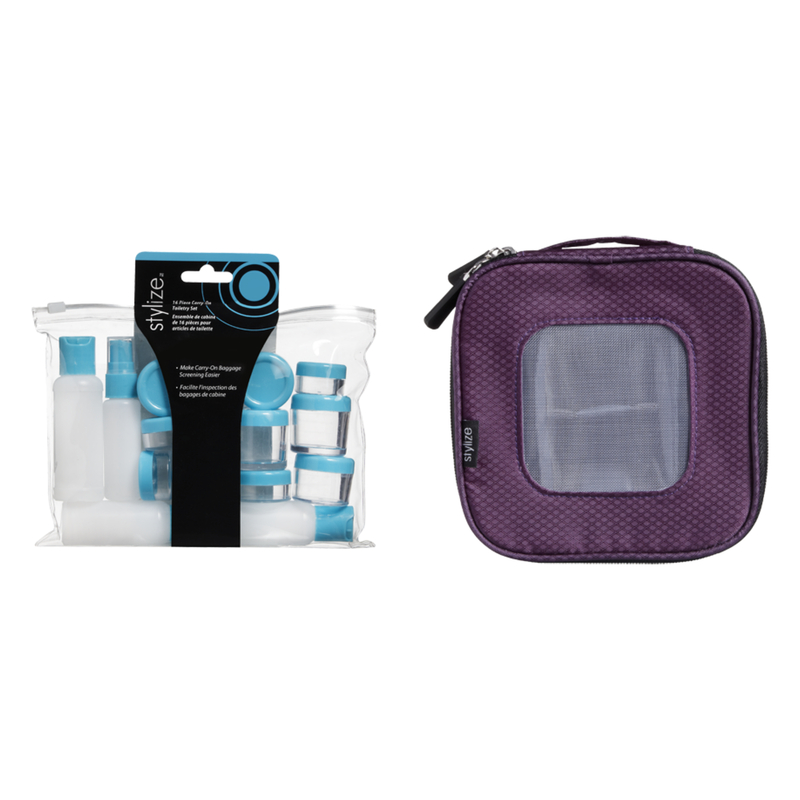 These travel organizers are a new must have for me!! The travel bottle set is the PERFECT size for a weekend! There is even a little spray bottle for hairspray! The cube has moveable dividers to fit your needs. Jewelry, electronics… anything really. I love this for keeping things in place!